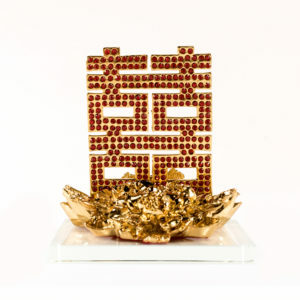 Enhance the general space feng shui direction of northwest in your living room or office to attract success luck through networking. 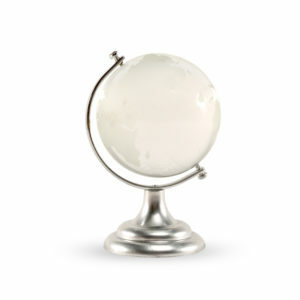 For literary & academic luck, place your globe in the general space feng shui direction or northeast in your living room, bedroom or office. Place in your success or wisdom direction in your office, living room or office for personal energy numbers 2, 5 & 8. The most revered healing Buddha in Mahayana Buddhism. 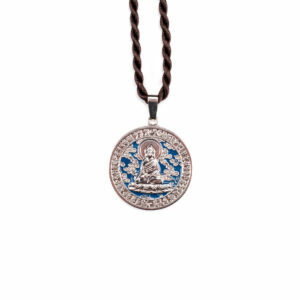 Wear this enamelled Medicine Buddha Pendant to protect you from illness and remove obstacles to a healthy mind and body. 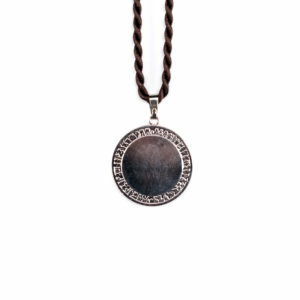 The shape of the Wu Lou represents Heaven (the top half) and Earth (the bottom half) and signifies a balance between Heaven, Earth and Humanity. Place the Wu Lou for the Yearly & Monthly Flying Star #2 Illness Star. 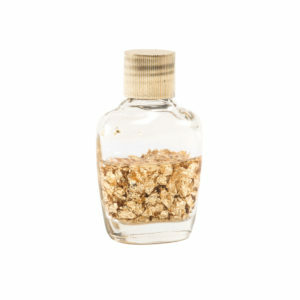 For ongoing health issues, place on your bedside table or in your health direction based on your personal energy number. The mystic knot symbolizes never ending happiness, a continuity of all the good things in life, including health, happiness, prosperity and relationship luck. 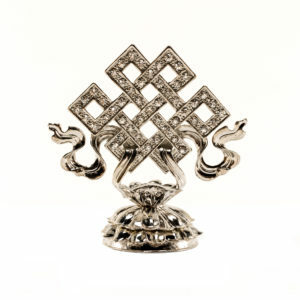 The mystic knot is auspicious when placed in all sectors. Place your intentions in the wish fulfilling compartment to realize your goals. Place a rose quartz angel in the general space feng shui direction of northeast to enhance spiritual wisdom, in your wisdom direction based on your personal energy number, on your prayer altar or opposite your front door to invite heavenly blessings into your home. 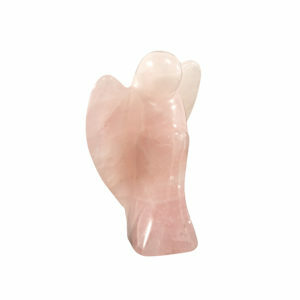 Enhance the general romance corner of the southwest with two rose quartz angels or place a pair of these angels in the romance direction of your bedroom based on your personal energy number. 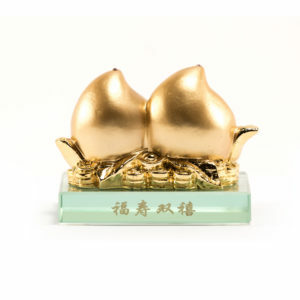 A pair of golden peaches, one inscribed with the symbol "Fu" for good fortune and other with the symbol "Shou" for longevity. 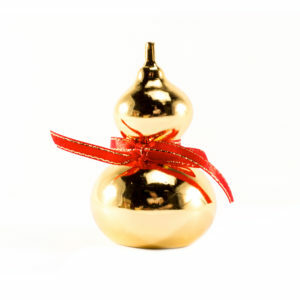 Display these golden peaches in the general space feng shui sector of east in the living or dining room, for the health luck of the family. 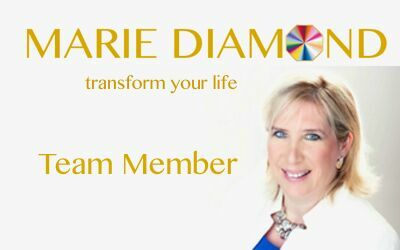 Based on your personal energy number, place them in your health direction in your living room, dining room, bedroom or office. To invite marriage luck or to sustain the luck of married couples, place them in your relationship direction of your bedroom based on your personal energy number, or the general space feng shui sector of southwest. 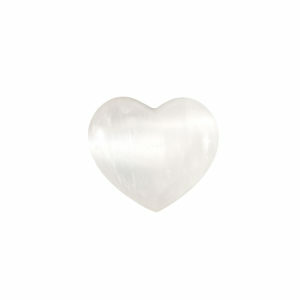 Selenite is named after the ancient Greek Goddess of the Moon, Selene. Selenite radiates the qualities of peace & love & corresponds to the crown chakra. Place a pair of Selenite hearts in the general space feng shui direction of southwest in your bedroom or living room, or in your relationship direction of your bedroom or living room based on your personal energy number. Selenite can dissolve in water, so the best way to cleanse your Selenite crystal is in a ceramic or crystal bowl of organic brown rice. Leave for 24 hours and then re-empower your Selenite in moonlight. 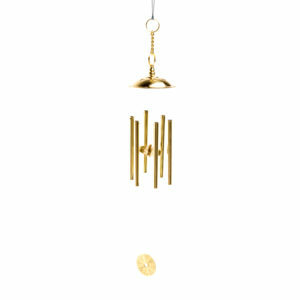 The 9 Level Pagoda symbolically embodies the qualities of peace, wisdom and harmony. 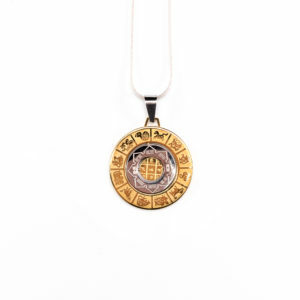 The 9 levels of the pagoda signifies completion, bringing all the qualities that one needs to be a student or working individual. Qualities such as perseverance, integrity, motivation and honor. 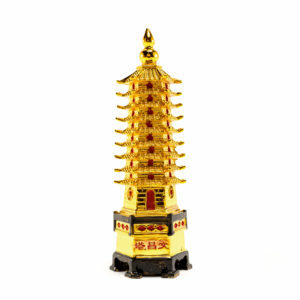 Place this 9 Level Pagoda in your wisdom direction based on your personal energy number, in the general space feng shui direction of northeast, or where the yearly and monthly Flying Star #4 resides. 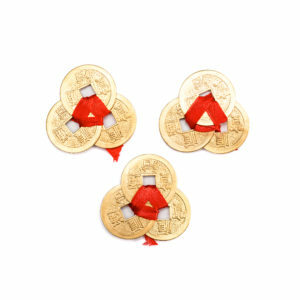 This highly auspicious symbol of hands overflowing with abundance attracts great prosperity luck. 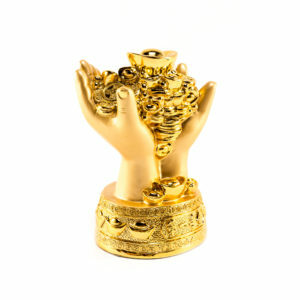 Display on your desk for wealth luck, near the cash register to attract cash flow or the general wealth sector of southeast in your living room or office. 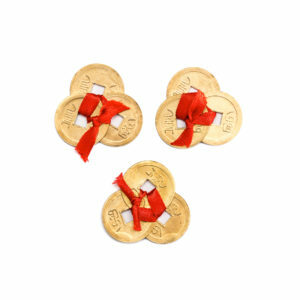 Activate the yearly and monthly Flying Star #6 to attract heavenly luck. 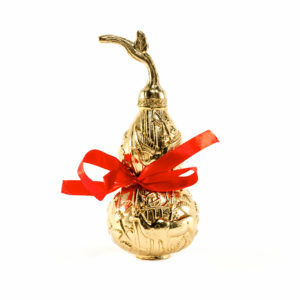 Place the Small Gold Leaf Bottle in your wealth vase, handbag or wealth pot to attract money and abundance luck.